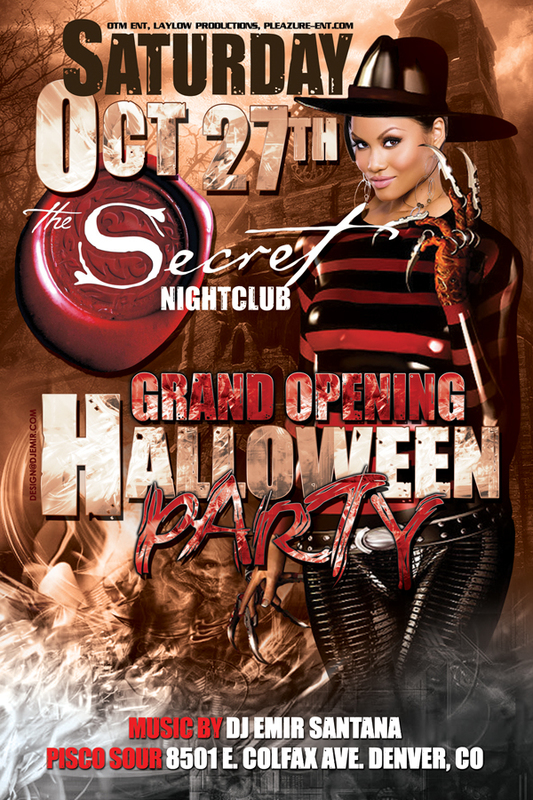 The Secret Nightclub Halloween Party and Grand Opening Party October 27th 2012 at Pisco Sour 8501. E. Colfax Ave. Denver, CO.
Make sure to dress in your coolest, sexiest and scariest Halloween costumes. Get in free with costume before 11pm! Ladies Drink Free Moscato! $5 Beer Pitchers, $5 Long Islands, $5 Blue Hawaiians All Bottles Only $75 before 11pm! With DJ Emir spinning the hottest Hip Hop, reggae, Reggaeton, Rare Grooves, Salsa and Merengue.